Yesterday was St. Patrick’s Day. 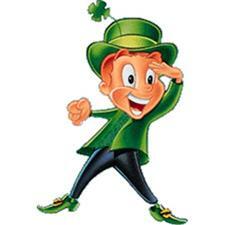 As I interacted with some children in the neighborhood of our church building, they told me of how the holiday is about Leprechauns and green clothing. It struck me how yet another holiday has been diverted from its true meaning. Easter is centered on chocolate bunnies and eggs, rather than the resurrection of Christ. Thanksgiving is centered on turkeys and football, rather than actually thanking God for His blessing upon our lives. Christmas is all about shopping and the reindeer that come from the North Pole, rather than worshiping God who has come to dwell among us to save us from our sins. I did not, indeed, know the true God; and I was taken into captivity in Ireland with many thousands of people. … And there the Lord opened my mind to an awareness of my unbelief, in order that, even so late, I might remember my transgressions and turn with all my heart to the Lord my God, who had regard for my insignificance and pitied my youth and ignorance. … Therefore, indeed, I cannot keep silent, nor would it be proper, so many favours and graces has the Lord deigned to bestow on me in the land of my captivity. So, whenever you are celebrating a holiday, I encourage you to think about how it began. You will probably find some deeper meaning than what most are celebrating. “The blood of the martyrs is [the] seed [of the church]” (Tertulian, circa 200 A. D.). In other words, when governments or other religions seek to persecute the church, it only gets stronger. Have you heard about the church in China recently? In the years prior to their marriage, Francis and Edith Schaeffer lived apart from each other, but wrote to each other daily. In these letters they wrote about everything: the details of life, their thoughts on current events, and their vision for a future together. What a great way to force a couple to communicate their thoughts in preparation for marriage! Anyway, during these days, news of the beheading of John and Betty Stam rippled across the American church (see yesterday’s blog entry). 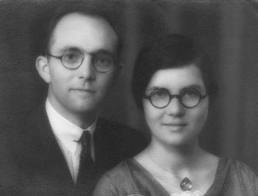 Francis wrote to Edith, “Edith, a point blank question: You and I and our children may face what the Stams faced. … are you with me even to that?” He was ready to do anything and go anywhere for the Lord (Isaiah 6:8). He was merely checking to make sure that Edith was along for the ride. She was. (Edith Schaeffer, The Tapestry [Waco: Word Books], p. 159, 178). 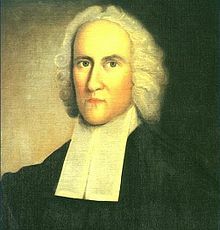 One of my favorite stories from church history is the story of John Fawcett, born in 1740 and converted to Christ through the ministry of George Whitefield. At 26 years of age, he accepted a call to pastor a small congregation in Wainsgate in Northern England. A few years into his ministry, the large and influential Carter’s Lane Baptist Church in London called him to succeed the well-known Dr. Gill. 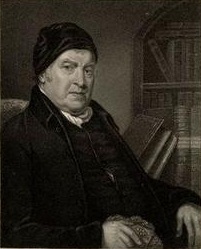 The day approached when John Fawcett, his wife and children were to head off to London. Their bags were packed and the wagons were loaded. The people of the church surrounded the wagons with tears of farewell. Mrs. Fawcett broke down and said, “John, I cannot bear to leave. I know not how to go!” John Fawcett replied, “Nor can I.” They quickly ordered the wagons to be unpacked. The Fawcetts remained there at the church in Wainsgate for fifty years, serving the people they loved. (Kenneth W. Osbeck, 101 Hymn Stories [Grand Rapids: Kregel Publications], pp.45-46). Blest be the tie that binds our heart in Christian love! Such ought to be the feelings of pastor and church. I love the story of John Colter. He was an early American who travelled with Lewis and Clark as they explored the Louisiana Purchase. He was a rugged mountain man, who was the first European man to seek the marvels of Yellowstone and the Teton Mountain Range. He gained fame for the time he ran for his life. The above historical marker is located in Stuarts Draft, Virginia, (his place of birth), commemorating this run. On one occasion, Colter was captured by hundreds of Blackfeet Indians, who stripped him naked (shoes and all) and were determined to kill him. However, rather than shoot him with arrows like a lame duck, they let him loose to run for it across the plain, like a fox in a foxhunt. After a few hundred yards head start, the Indian Chief released his tribe to pursue their prize. Being a swift runner, Colter began to distance himself from the pursuing Indians, even though he was at a disadvangage, running with bare feet across the plain filled with prickly pear. After five miles of running, one of the Indians, spear in hand, was catching up to him. He was so close that Colter could hear his footsteps. Rather than being speared to death, Colter turned to face his pursuer, who was surprised and tripped to the ground, breaking his spear. Colter picked up the spear head and drove it through the Indian, killing him in the plain. Less than a mile later, John Colter arrived at a river, where he found some cover under the cottonwood trees. To his good fortune, he noticed a small island in the river, where some driftwood had become lodged. So, he swam underneath the makeshift raft and found a pocket of air, where he was able to hide. No sooner had Colter found his place of refuge, when the pack of Indians reached the river. They searched for him all day, but could not find him. At times, Colter could even see them through the cracks in the wood. Under the cover of nightfall, John Colter drifted downstream and eventually walked out of the river to safety. However, his troubles were far from over. He was a seven-day’s walk to the nearest fort. He was completely naked, exposed to the burning sun. 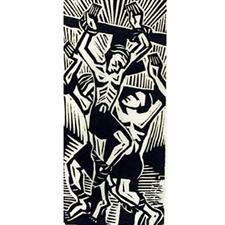 The soles of his feet were filled with thorns. He was hungry with no means to capture any game (though he saw many animals around him). 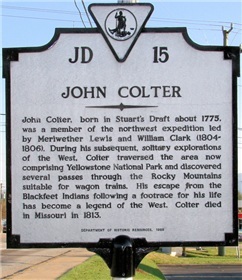 He survived on breadroot called “Ground Potato.” (Click here or here for more details about John Colter and his fascinating life). As believers in Christ, we are also called to run for our lives. “You have need of endurance, so that when you have done the will of God, you may receive what was promised” (Heb. 10:36). The implication is clear: if we don’t run with endurance, we won’t receive what was promised. So “let us run with endurance the race that is set before us” (Hebrews 12:1).